Another very busy and productive season is over, one that saw me start full-on guiding early October then all of the way to the end of April. It was a season that created so many great memories for us all! Firstly I would like to thank the very loyal repeat clients for coming back year after year, it’s such a pleasure and privilege to guide you and forge great friendships over the many years with the stories of these adventures we could tell endless tales, to say the least, secondly it was super inspiring to meet and guide many new anglers from all corners of the world especially a growing number of younger anglers and New Zealanders who are recognising the value of taking highly experienced guiding! 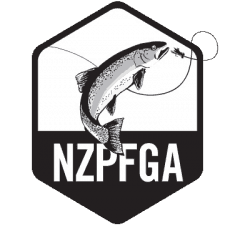 A huge thank you to you all and hope some of your fly fishing dreams came a reality as I know many of mine did whilst helping and learning with you. All my family especially Adele for all the support – lunches and logistics – after all this is just a small family business. Peter Langlands for helping out within guiding operations as many of you will Peter has a busy schedule with foraging for top NZ Chefs and works within NZ Native bird conservation but it was great seeing him back in guiding role applying his many hundreds of days he has accumulated since the late 90’s. 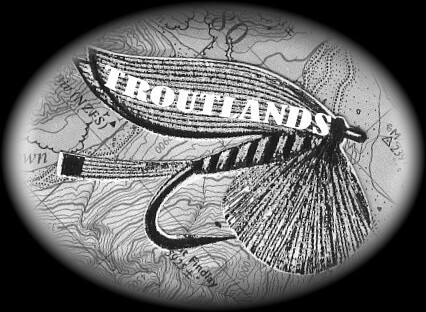 During the season we encountered many exceptionally well conditioned trout with a good number of large fish in 7-12 pound range with the overall total of double-figure fishing amounting to 11 for clients which we were super happy with especially in context of it not being a mouse year and such large fish are super rare as many of you will know its part of my passion. 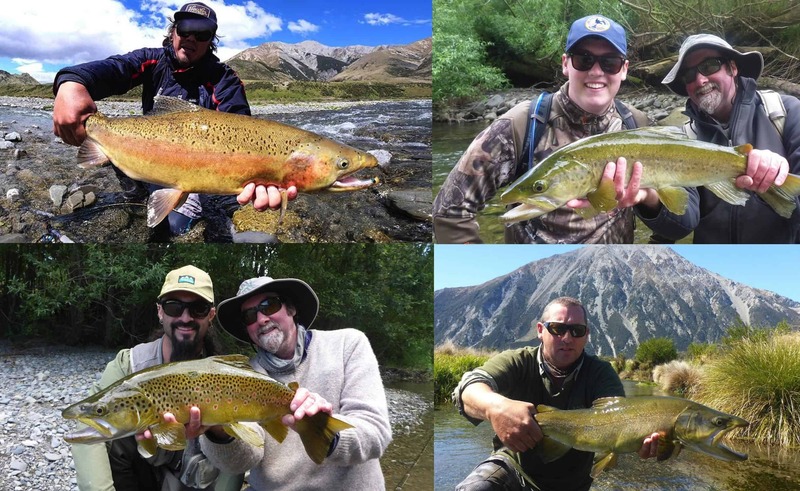 It’s not just about the larger trout however for many clients of all levels it’s about having an enjoyable adventure in beautiful places coupled with learning more about all the many aspects of fly fishing to this end it was very pleasing to help many first time and beginner anglers along their flyfishing path. By the time early December came along it became very very hot with water temperatures rising and many river flows falling we were becoming fearful of a long hot drought summer thankfully that changed from early January all through till the end of April we periodically had high rainfall events resulting in some of the most healthy flows its seen for the past 10 years. 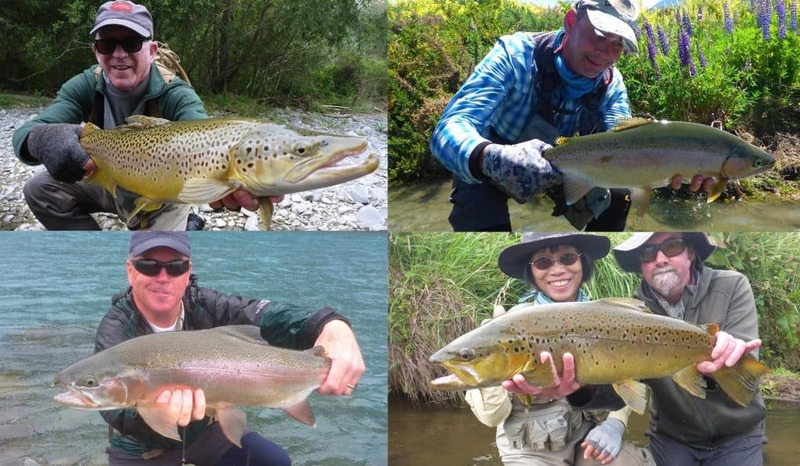 These higher flows at times limited the fishing options the worst being post Cyclone Gita but that said we still got fish most days and just had to be more adaptable, innovative than ever and draw upon the huge pool of knowledge I have garnered over the years (Choosing a highly experienced guide counts more and more each season as climatic changes are becoming more dynamic IMO). January, February, March and April all produced some outstanding fishing not with larger numbers but sheer quality of trout that seemed to thrive in the higher flows and it was very heartening to see the largest numbers of smaller fish ever seen in most river systems that is super encouraging for the bright future , a generation turn over indeed. Venturing into some new domain and revisiting some of my more historical multi-day trip bases became the feature and offered some highly rewarding results as well as gathering many new access points and new accommodation options so I can’t wait to show you some of these in the upcoming season. Continuing an ever growing range of unique and highly effective trout flies and streamers also filled the season at present in full swing commercial tying many of these, its truly an incredible time with all the new materials on the market and many breakthrough patterns well beyond the norm that have proven them self’s all season to get better results as many clients saw and I hope you do also . If your interested in any patterns please look at my trout fly page and links to see just a small part of the range I offer. With the new season starting in October 2018 it’s a great time of year to contact me to make a booking and plan as always I welcome early bookings and have some great packages to offer. Again thank you to you all for it is you that help keep this passion alive and a feel so lucky to be in such a positive feedback loop with you all ! Go well and tight lines and hope we talk soon.